Heather has drawn and painted since childhood, with some of her fondest memories being her grandparents’ farm. From an early age she learned to appreciate nature and sought to create pictures of birds and animals in various media. Heather enjoyed occasional art classes and began pursuing her art more seriously in 2004 when she created a series of four coloring books for the Youth and Family Institute in Minneapolis. In 2010 her growth as an artist took off when she began studying with a St. Paul artist and mentor. As Heather refined skills in charcoal, watercolor, pastels, and oils, she discovered a passion for the pastel medium. 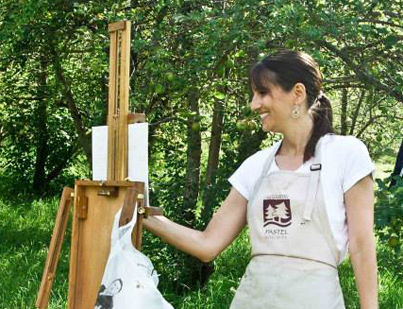 She created work with soft pastels, acrylics, and oils, including plein air (on location) and exhibited her artwork in exhibitions and shows in the Twin Cities and greater Minnesota, as well as out-of-state. 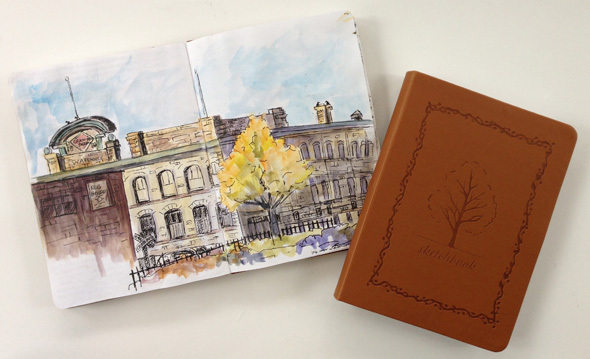 Heather has been sketching for over four years and has traded in framed art and galleries for a sketchbook and urban sketching. She is a member of Twin Cities Urban Sketchers.